The cool waters of the Yellowstone River flowed around my legs. I was wearing waders, casting half-heartedly for the fabled cutthroat trout as I gazed over the still meadows and up at the mountains in this paradise setting of “A River Runs Through”. All was quiet in the searing afternoon heat but for the trickle of the water on stones. There was no shade. No fish. No animals. No other fisherman in sight. When I turned I realised I did have company. 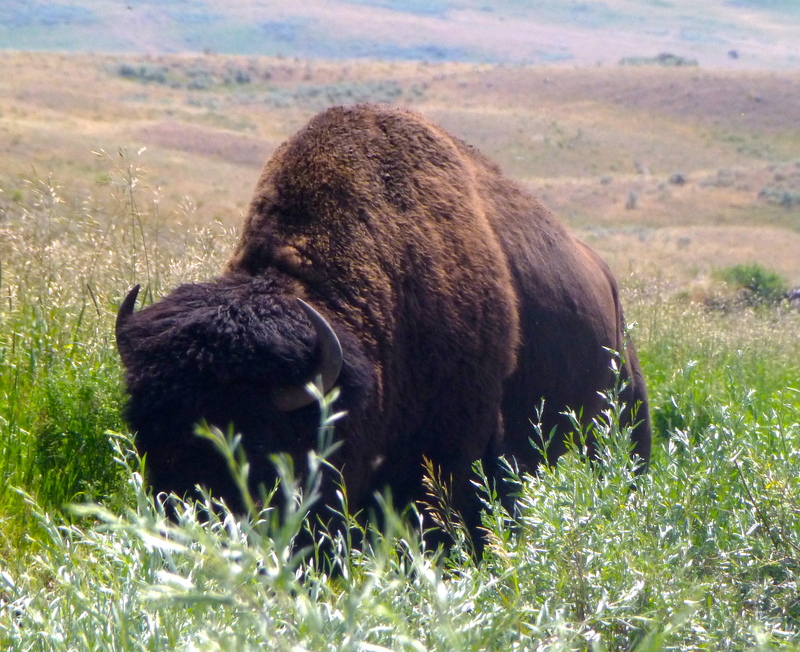 The lone bison who’d been napping earlier was now wide awake, considerably closer and grazing only feet away at the edge of the river. He filled the entire frame of my vision and I froze. Do bison swim? I rapidly spooled back through childhood cowboy movies to scenes of herds fording rivers and concluded they’d certainly move faster in deep water than I would in my waders. Or even without them. So I sidled slowly away and he watched with one eye but barely lifted his head. A bit like Ferdinand the Bull, it was just too hot to bother. 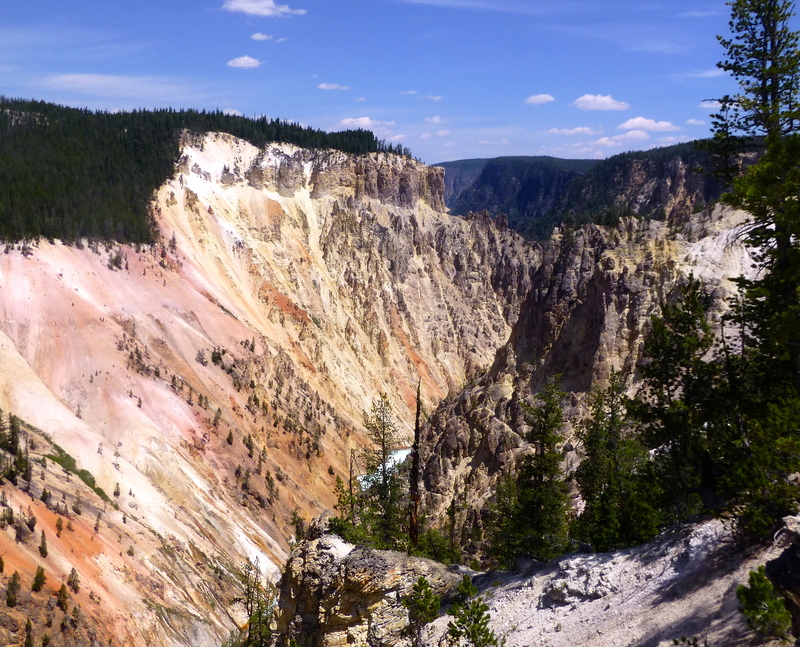 Yellowstone has pink stone too, and rocks of orange and red and white. But Yellowstone it is. A natural wonder. Really? How far is a long day’s drive? Well, Yellowstone is a little over 8 hours drive. To Gardiner, of course, I little longer. To Billings, probably about a 10 hour drive. Beautiful post, thank you. Bison aren’t carnivores, you were safe! 😉 Grizzlies, on the other hand…. Haha. But I’d just been to a rodeo so the images of horns and bulls and men running was very fresh in my mind! Was this in Montana? I know the Yellowstone River flows through it but maybe it flows elsewhere too? Yes Anneli. I was staying with friends in their cabin near Gardiner on the northern edge of the park. A stunning place. I love visiting Montana. Beautiful state!